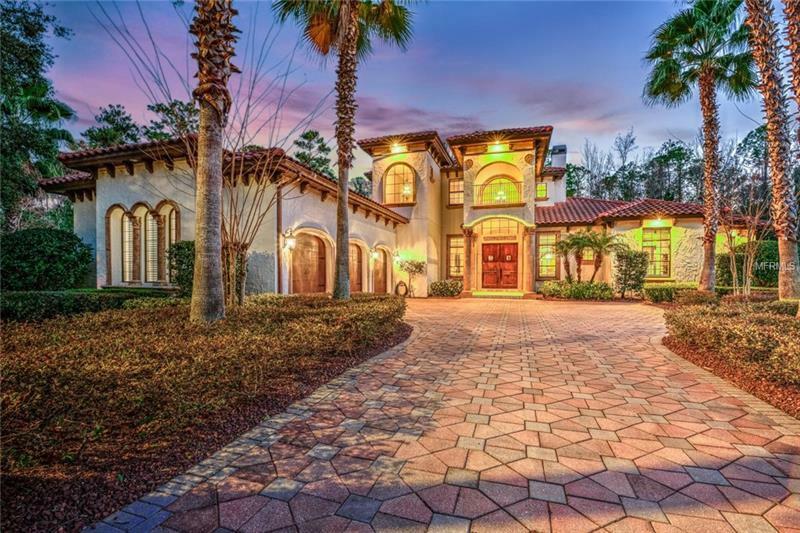 Custom Signature Home in Lake Forest! An outstanding home to wow even the most selective buyer. The gourmet kitchen boasts solid wood cabinetry, exotic granite, commercial ice maker, wine cooler, double oven with warming tray, and gas cooktop. A fabulous hidden walk in pantry 16 x 5'4" with custom shelving. The home has travertine floors that flow from indoor space to the outdoor living area. You will love the outdoor kitchen and built in fireplace, 6 sets of disappearing doors that lead from the indoor living space to the stunning pool area. Perfect for entertaining large numbers, yet cozy enough to enjoy a quiet evening alone. You couldnât ask for a better location, the home sits at the end of a cul-de-sac, nestled up to conservation for privacy and beauty. The salt water pool has in water color changing LED lights on remote control system. The master bedroom includes a large walk in closet on separate locking system, and a 9x14 exercise room with access to outdoor pool area. If you want extra storage, there is 65 sq/ft of walk in storage, as well additional closets on main floor. Home also has 3 Zone A/C, water softener, 24 zone alarm system, surround sound, oversized garage with extra storage and finished floor. Too many upgrades to mention, please ask for the complete list. Come enjoy this 24 hr guard gated community with tennis courts, basketball courts, Jr Olympic pool, kiddie pool, workout room and clubhouse. This property may be under Audio/Visual Surveillance. Additional Water Information: Lake Forest has a beautiful no wake lake perfect for canoeing, kayaking, and fishing. There is a fishing pier accessible for all residents of Lake Forest.